There are many benefits of using on-site catering in large construction companies. Providing food on the premises can be an effective way of ensuring that work gets completed on time and costs stay within budget. Large construction companies can ensure they are providing healthy and nutritious meals for their hard-working workforce that is easy to access and affordable to purchase. An understated opportunity to boost teamwork and improve productivity, on-site catering can be invaluable to the success of your construction projects. On-site catering can make meal times quicker and more efficient. Lunch and break times can be managed according to the size of your workforce, ensuring that construction schedules and deadlines are met. Eliminating the need to factor in time for workers leaving the premises and getting delayed in off-site cafes and restaurants, on-site catering can make project time predictions more accurate and reliable. Savings are passed on to your workforce when you provide on-site catering in your large construction company. Meals can be offered at a lower cost than external providers who don’t have access to the same cost saving benefits of bulk-buying and long-term supplier relationships. Quality and quantity is often higher while costs to you and your staff are capped. Your large construction company might be located in a remote industrial area where there are few retail catering establishments. This could make accessing food and drinks a hassle for your staff and again slow down the speed at which workers can have lunch and breaks. On-site catering is a convenient way to provide a range of food and drink options for your staff, while catering to a variety of dietary and religious preferences. 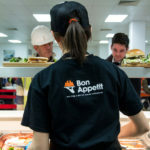 You can create an on-site catering solution uniquely tailored for your organisation choosing among a fully-catered kitchen, self-service salad bars, vending machines and sandwich counters, to name a few. There is also the option to have a licensed bar on-site or a simple cafe-style service. On-site catering provides the opportunity for your workers to get to know each other. 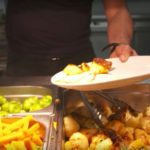 They are able to eat together and the ease and convenience of on-site food provision means that lunch and break times are really experienced as time out. Giving your workers a real chance to take a load off can improve their performance throughout the day and encourages them to speak to each other and generate the sense of being in a team. Construction is physically-demanding and ensuring that your workers have access to healthy and nutritious meals, can have the added bonus of maintaining productivity and motivation. 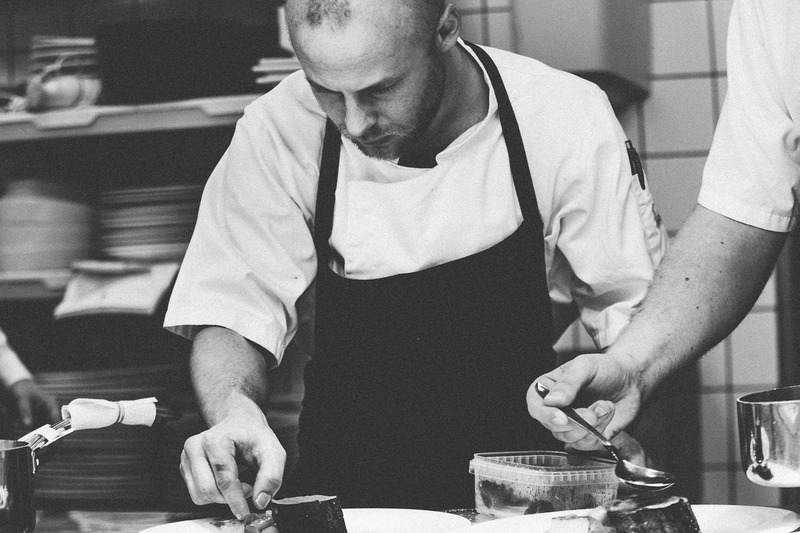 Your on-site catering provider will understand your needs, providing everything from extended service hours to the right volume of food for your company’s requirements. You can have the peace of mind that all health and safety standards are being met and that staff understand that their welfare is your priority. There really is no better option than having an on-site caterer for any large construction work!